This week, the candidates are challenged to live a day in the life of Marcus Lemonis. Before the four remaining candidates face a new day of challenges, Buffie asks to meet Lemonis outside of competition mode. She is struggling with the fact that two fellow competitors believed she should be sent home last week. She admits that she is afraid of failure and struggles with her own insecurities. Lemonis assures her that she is there for a reason and encourages her to believe in herself. During the first challenge, the candidates must live out Lemonis’ daily business challenges at Sweet Pete’s. He wants the candidates to look at customer experience, customer flow, merchandising & inventory and sales. He immediately notices that Buffie is a bit all over the place and lacks focus, while Erin fails to dive right into the challenge and actually interact with people. He is impressed by Peilin’s attention to detail and Juli’s focus on the big picture. The next stop is Bentley’s Pet Stuff for Peilin and Buffie, while Juli and Erin continue selling at the candy shop. Peilin admits that she is overwhelmed and Buffie works on staying focused. They stumble across a problem, however, when some of the deliveries end up in the storage room, some with stickers and some without. Nervous about creating more issues for his staff, they are both told to stop. Back at Sweet Pete’s, Juli and Erin managed to sell above the store’s daily average and Juli excelled with sales. Next, Lemonis meets the candidates at Denim & Soul to see if they can think like an investor by asking important business questions. Juli initially sticks to her strength of merchandising and ends up running out of time before she has the chance to ask all her questions. Peilin, who admits she doesn’t have much fashion sense, manages to ask many technical questions, but fails to include time for telling a story. Erin’s questions quickly turn from technical to interrogation-like, which worries Lemonis. Buffie struggles again, failing to ask the right questions. She admits that it feels like she is falling apart. Finally, Lemonis challenges each candidate to read mock financial statements and determine where the business is falling short. Juli and Peilin shine in the test, while Erin and Buffie again fail to gain traction—shocking Lemonis given their finance backgrounds. Ultimately, Buffie feels as though she can’t get her anxiety under control and Lemonis decides to send her home given her unwillingness to fight for the opportunity. The final challenge will determine who becomes the Partner next week, but not before another candidate is sent home. Two candidates will go into real Chicago businesses and help them grow and succeed. #TheProfit #thepartner How do they expect to be a partner if they don’t get the concept of a brick and mortar business? Been #teamjuli since episode 1 #thepartner @julistarreed her background isn’t in making a ton of money but she’s smart & teachable! 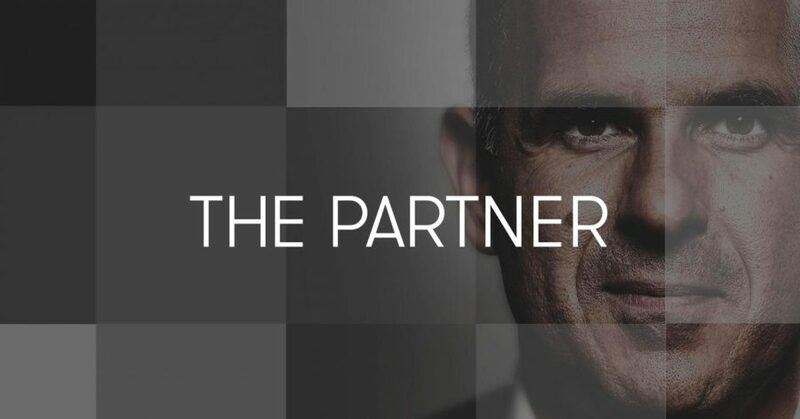 Marcus Lemonis, entrepreneur and host of the hit CNBC show “The Profit,” hopes to find the perfect business partner to help him run his ever-growing portfolio of business investments in “The Partner.” In three seasons of “The Profit,” Lemonis has invested nearly $50 million and now seeks a trusted partner. In the end, the partner will receive a half-million dollar contract, an equity stake and the once-in-a-lifetime opportunity to help manage Lemonis’ business empire. The five-episode series airs every Tuesday at 10 p.m. on CNBC. What are your thoughts on “The Partner”? Who do you think Marcus Lemonis will ultimately choose to be his partner? Sound off in the comments section below!